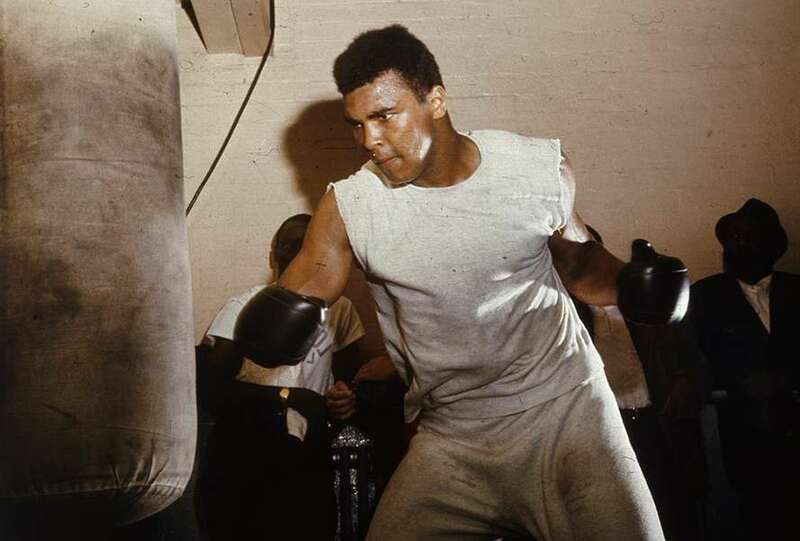 Heavyweight champion Muhammad Ali knocked out challenger Sonny Liston in the first round of their heavyweight fight on May 25, 1965, in Lewiston, Maine. 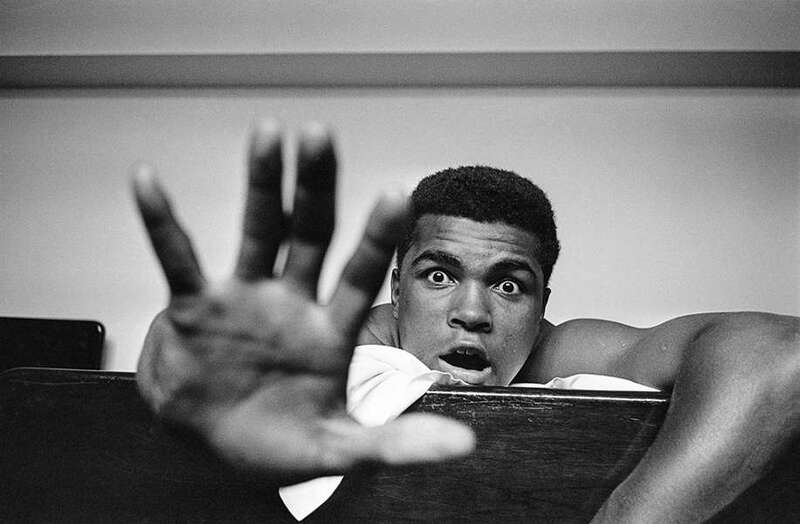 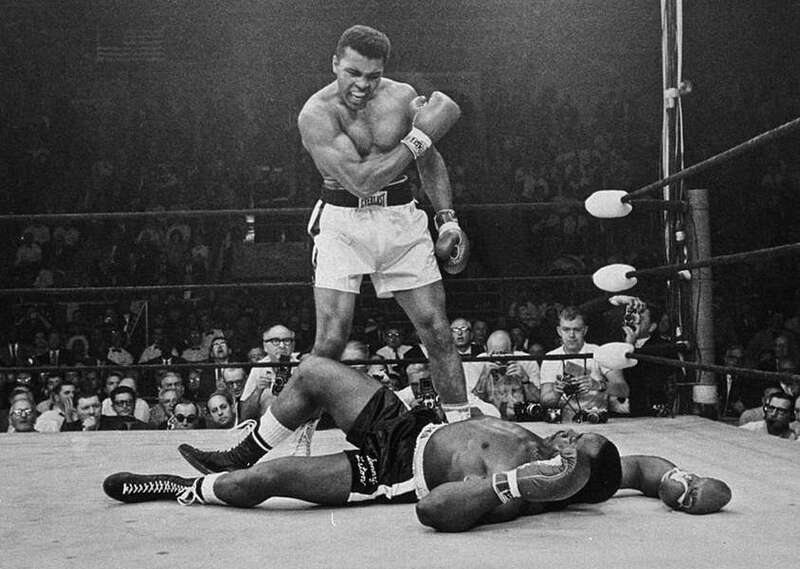 The iconic image of Ali snarling over a fallen Liston has become one of the most well-known sports photos of all time. 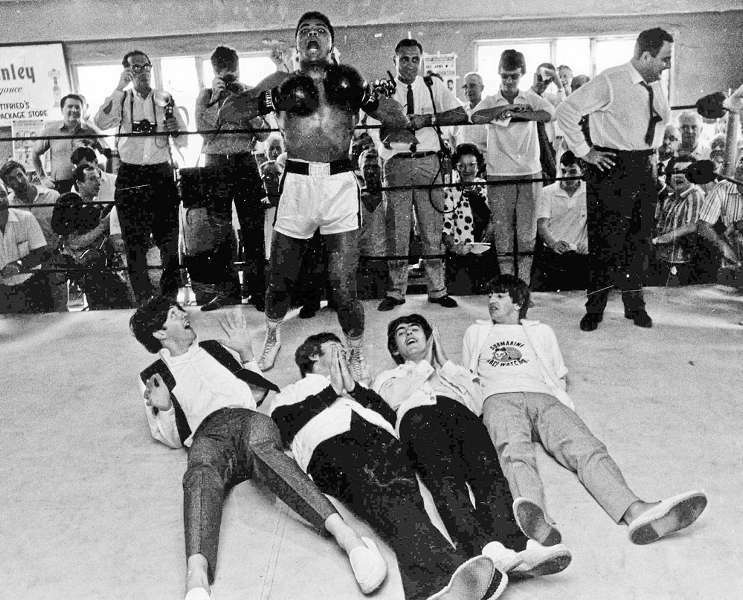 The Beatles (from right), Paul McCartney, John Lennon, George Harrison and Ringo Starr pretend to be knocked out by a fake blow from Muhammad Ali. 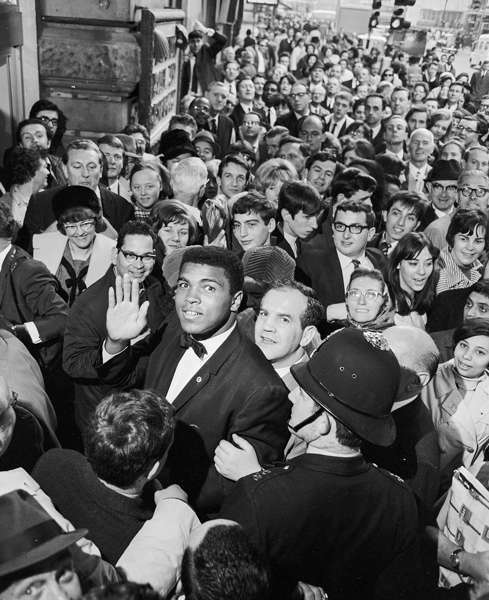 Former heavyweight champ Muhammad Ali appears outside champ Joe Frazier's gym in Philadelphia, Jan. 28, 1971, prior to their iconic fight that would happen in March. 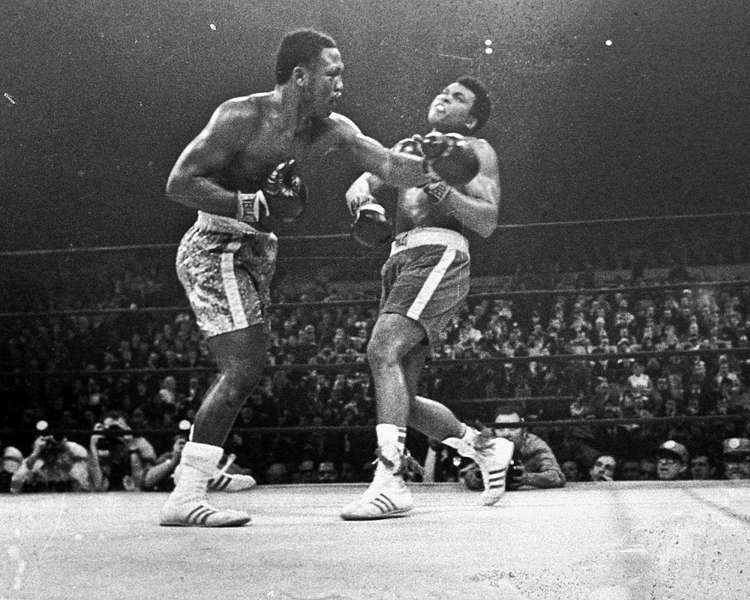 Joe Frazier, left, hits Muhammad Ali with a left during the 15th round of their heavyweight title fight at Madison Square Garden. 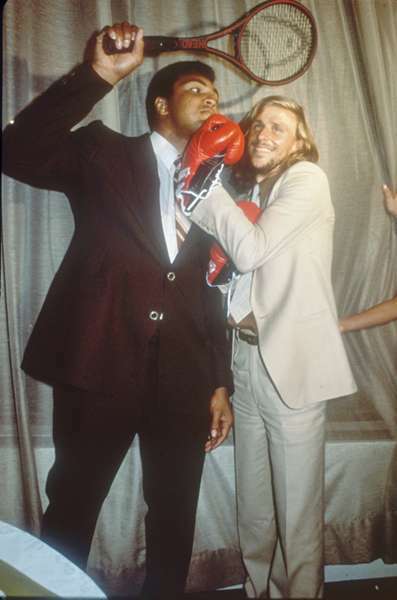 The two undefeated boxers met March 8, 1971, in what became known as The Fight of the Century. 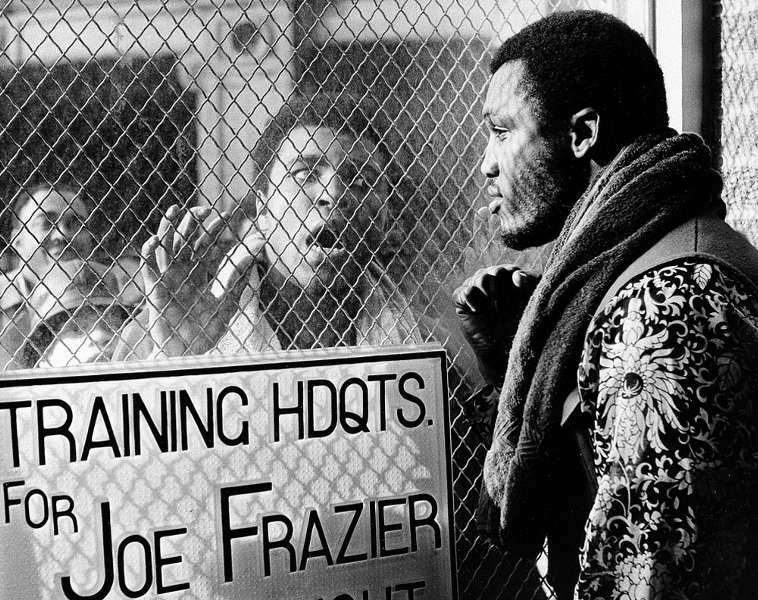 After a taxing, physical match, Frazier was declared the unanimous winner. 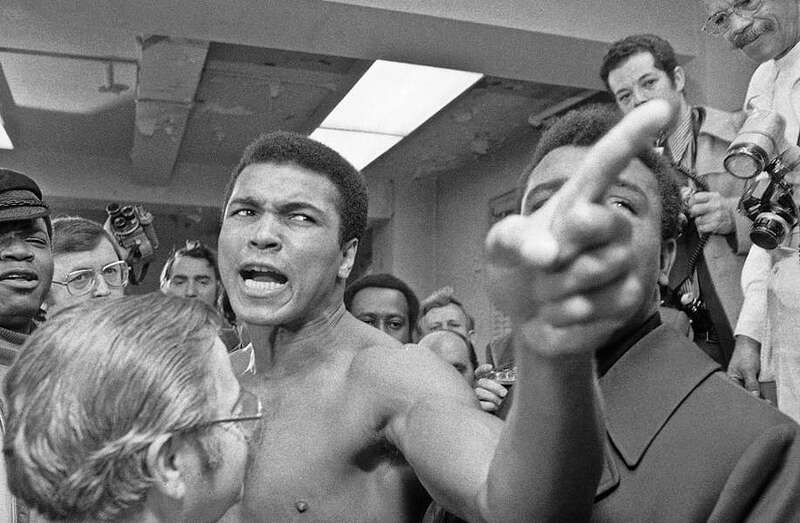 Muhammad Ali puts on a show at the New York State Athletic Commission's office in New York City on Jan. 23, 1974, as he tries to force his way into the room where Joe Frazier was getting his pre-fight physical. 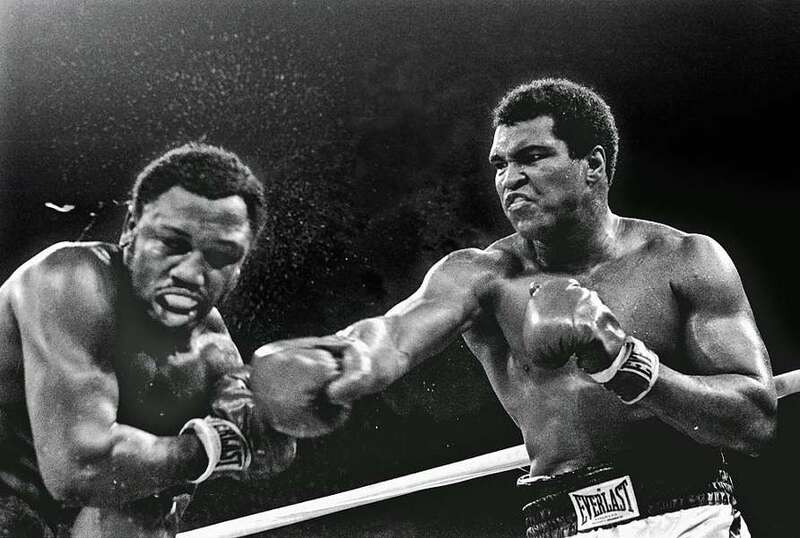 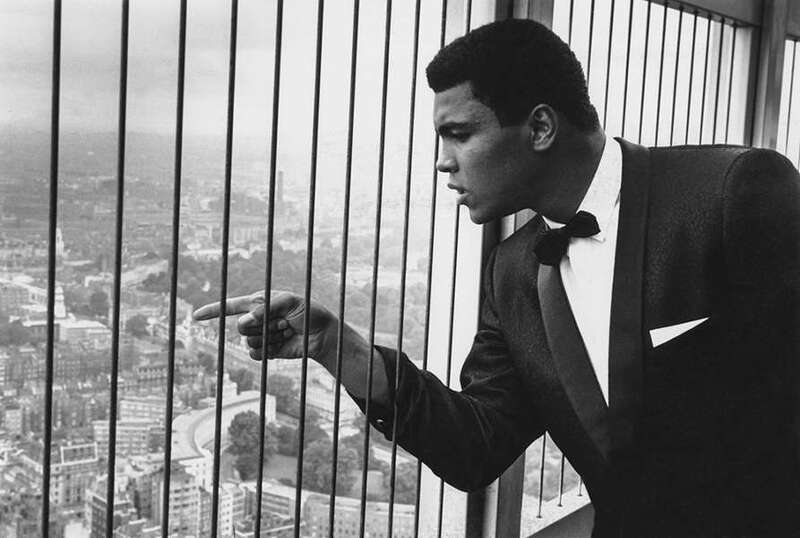 Ali and Frazier had their rematch Jan. 28 at Madison Square Garden. 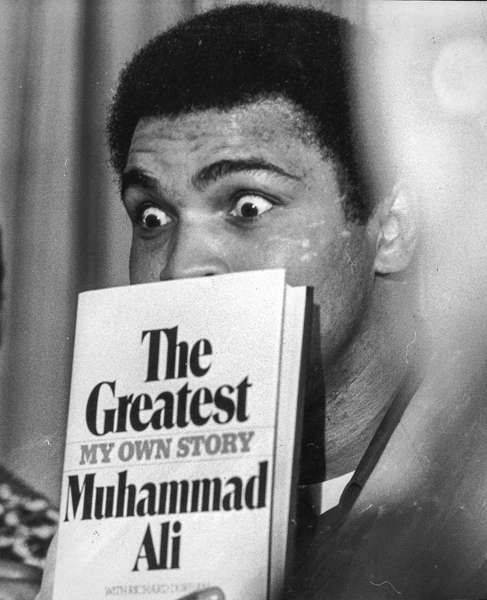 Joe Frazier sticks his chin out as Muhammad Ali points his fist toward him during a news conference in Malaysia. 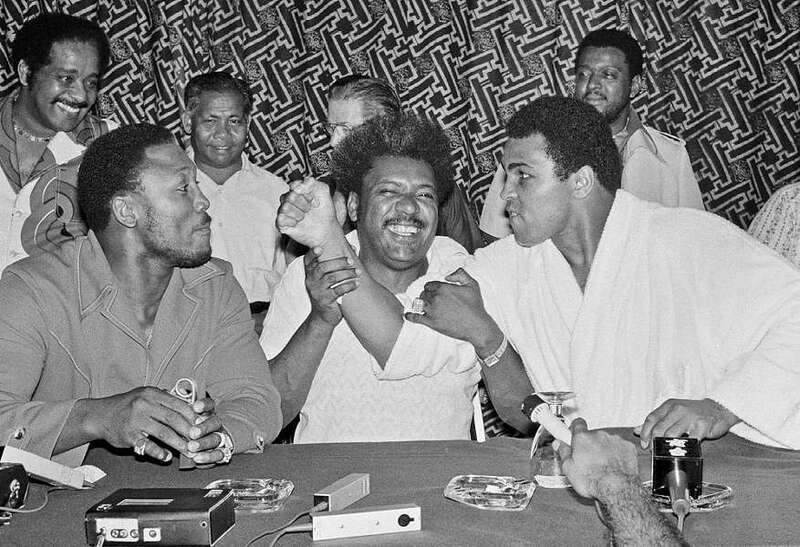 A young Don King, center, promoted the 1975 fight that would come to be known as the Thrilla in Manila. 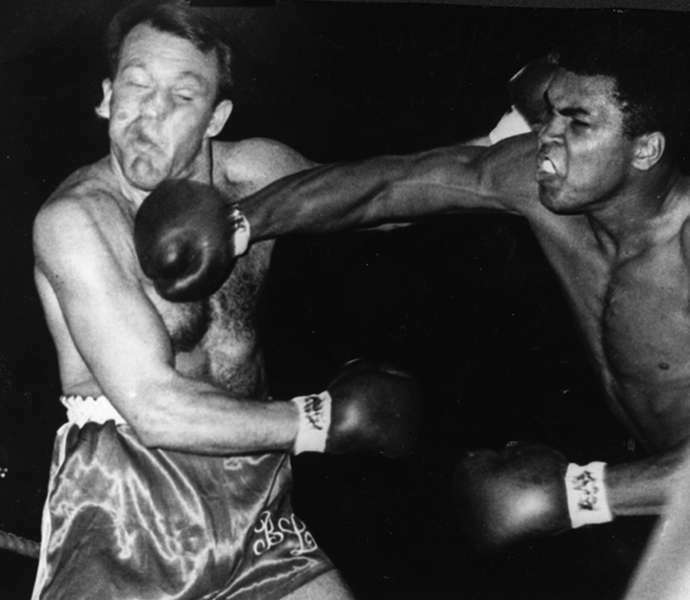 Heavyweight champion Muhammad Ali connects with a vicious right to the head of challenger Joe Frazier. 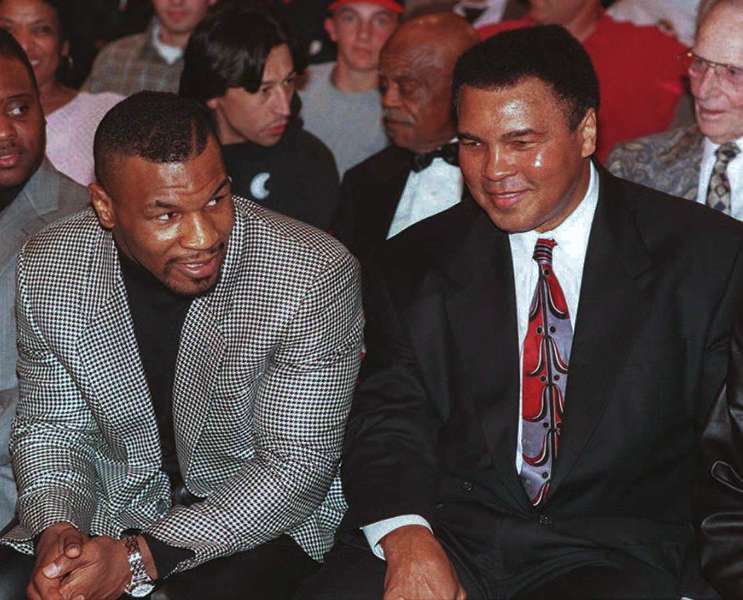 The third fight between the two was dubbed the Thrilla in Manila, and it ended prior to the 15th round when Frazier was unable to leave his stool. 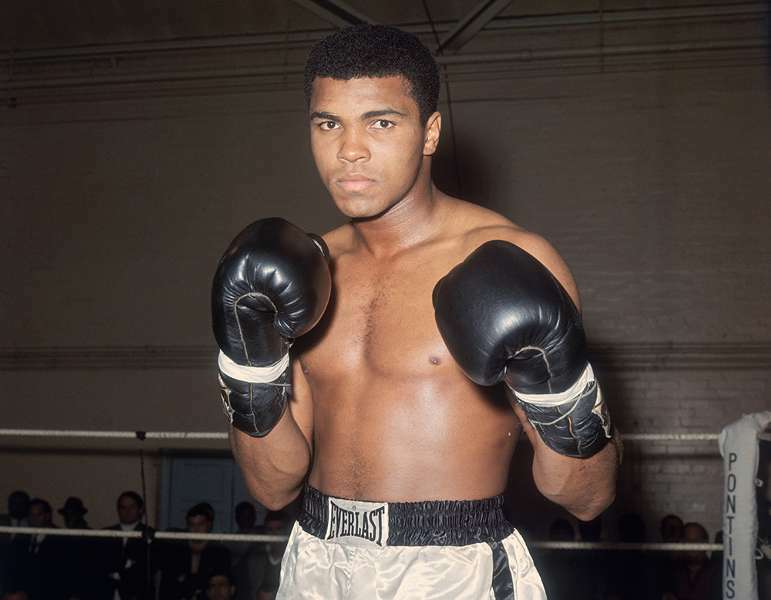 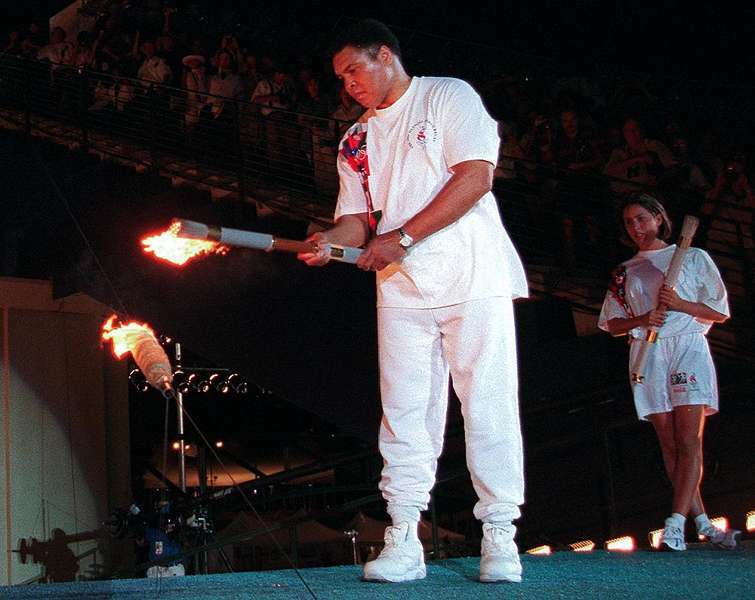 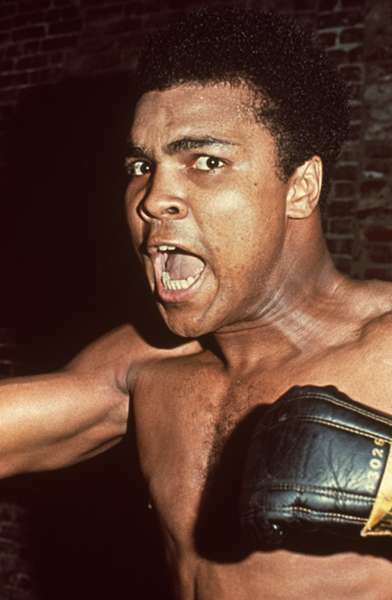 Boxing historians consider the bout one of the best of all-time. 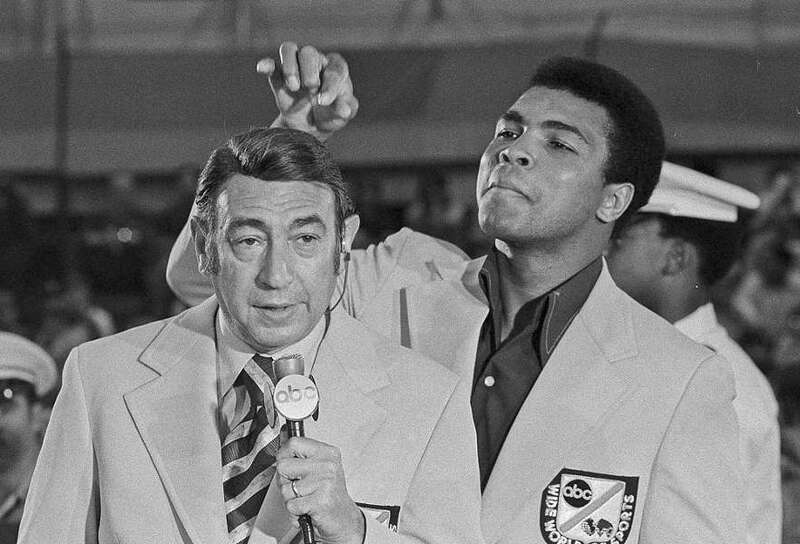 Muhammad Ali toys with the finely combed toupee of television sports commentator Howard Cosell before the start of the Olympic boxing trials in 1972. 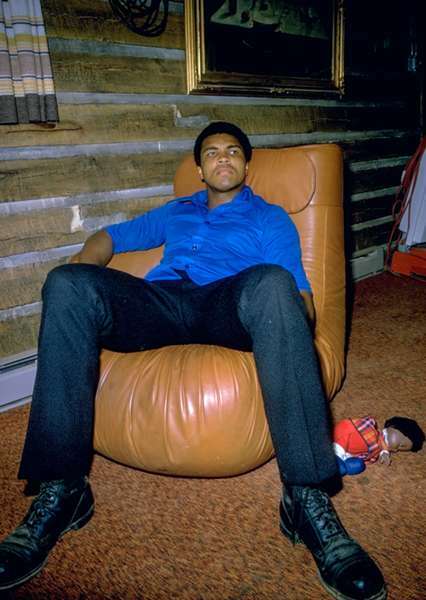 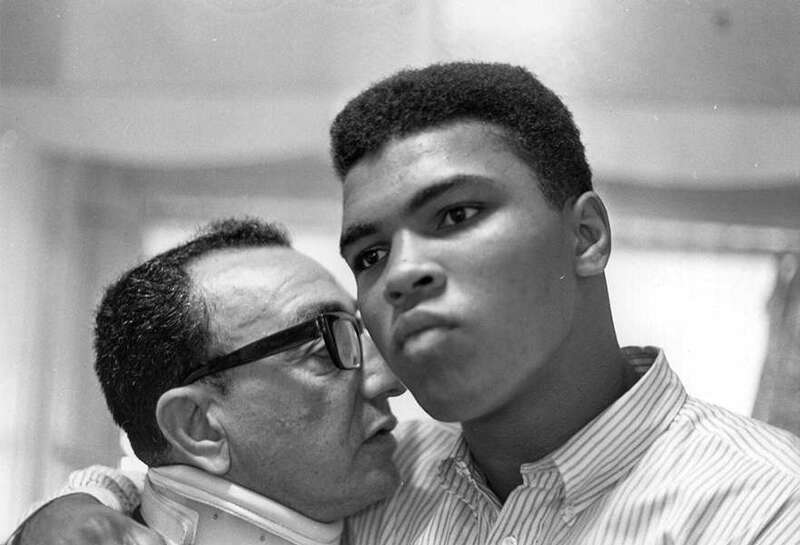 Cosell rose to fame in sports broadcasting through his calls in Ali's big fights. 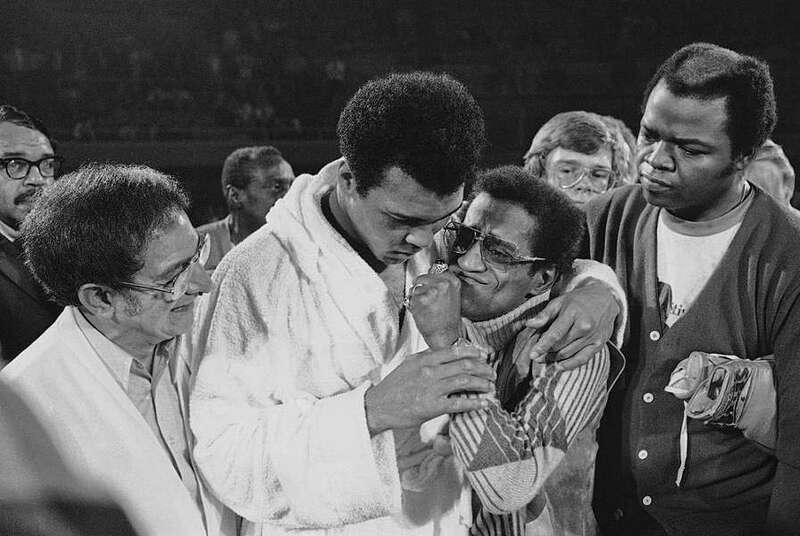 Muhammad Ali gets a bear-hug in the ring from Sammy Davis Jr. moments after beating Joe Bugner in Las Vegas. 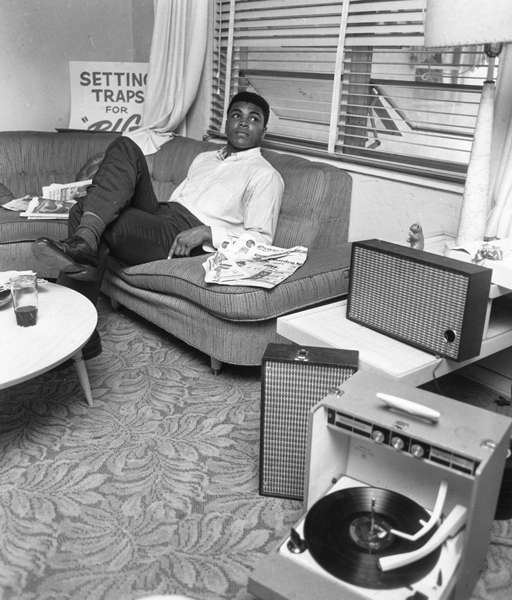 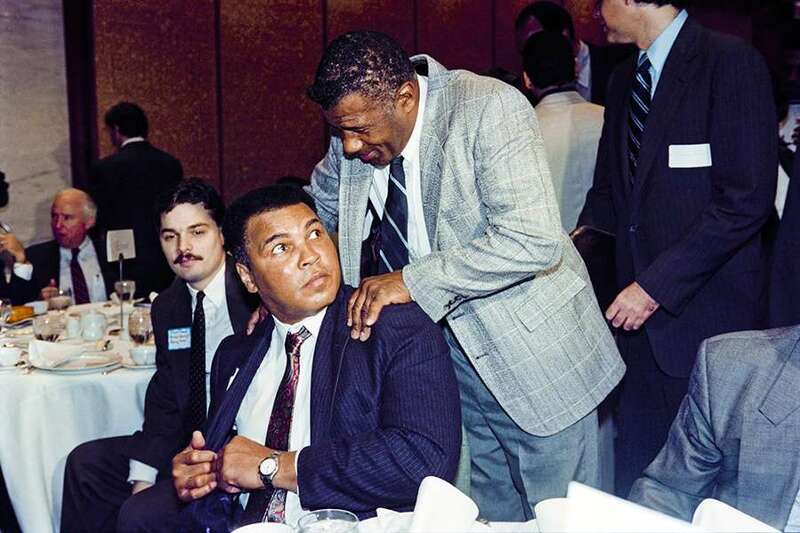 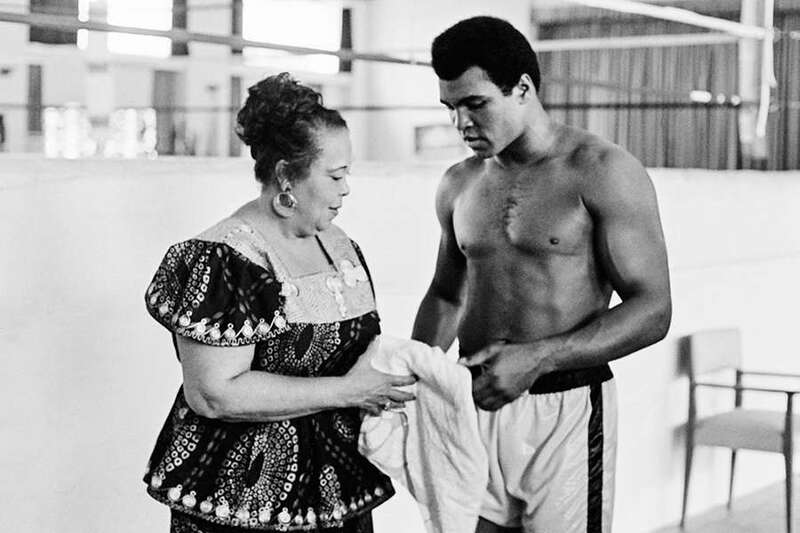 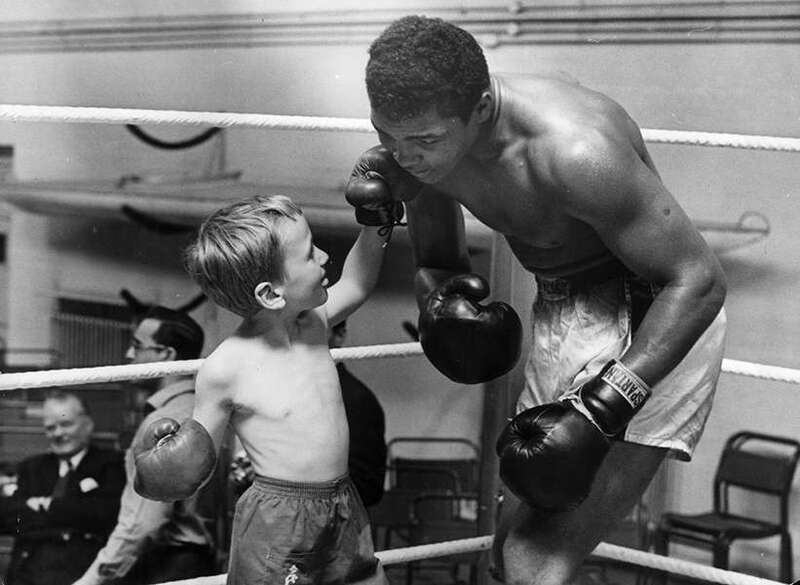 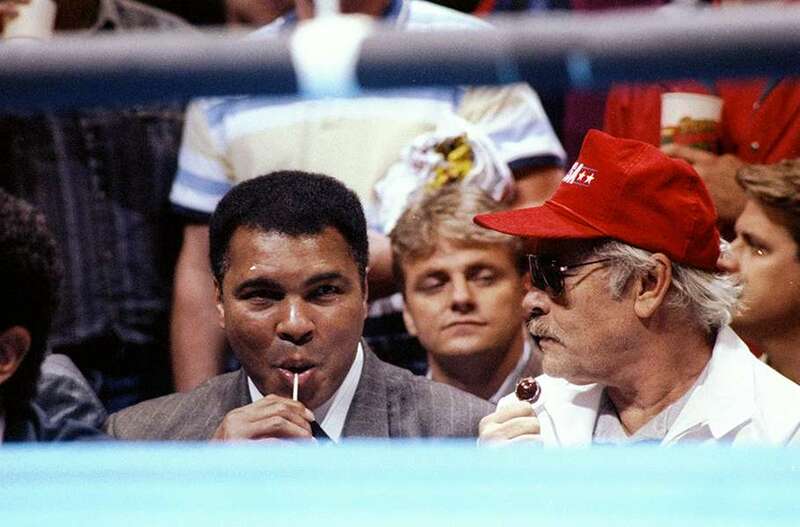 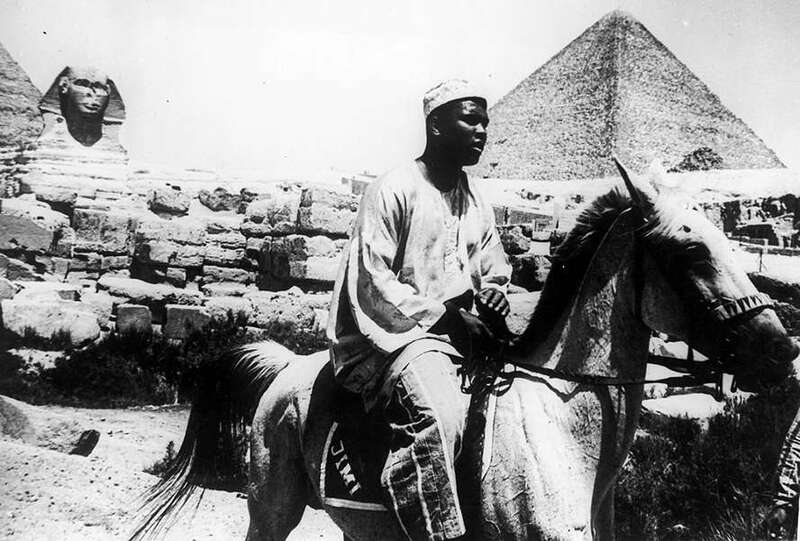 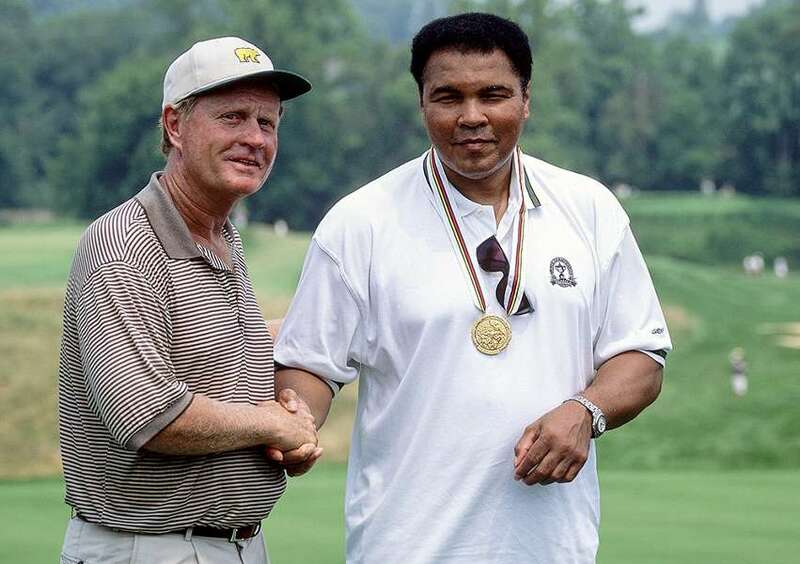 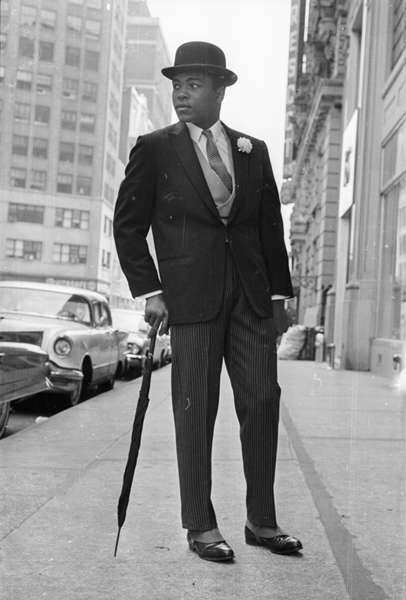 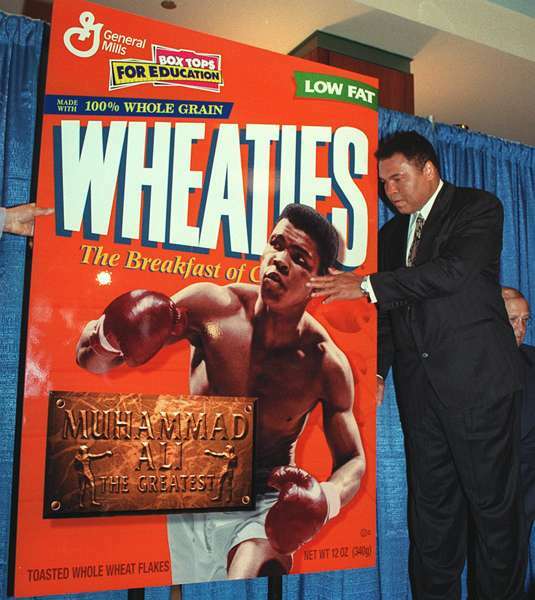 Entertainers like Davis frequently showed support to Ali throughout his career. 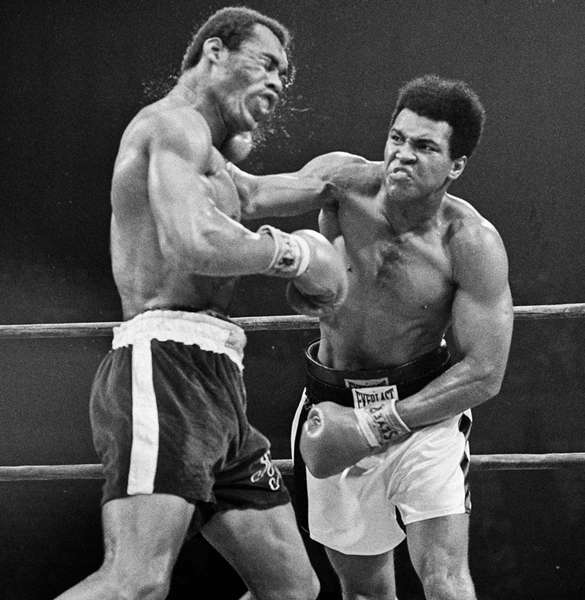 Muhammad Ali crushes Ken Norton during their 12-round bout in September 1973. 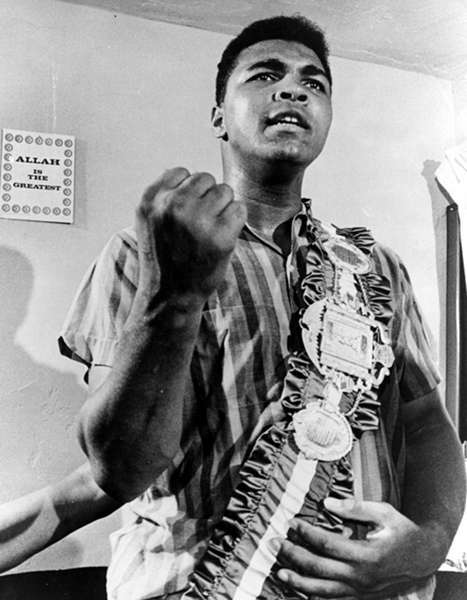 Norton had stunned Ali six months prior, but Ali won the rematch in a split decision. 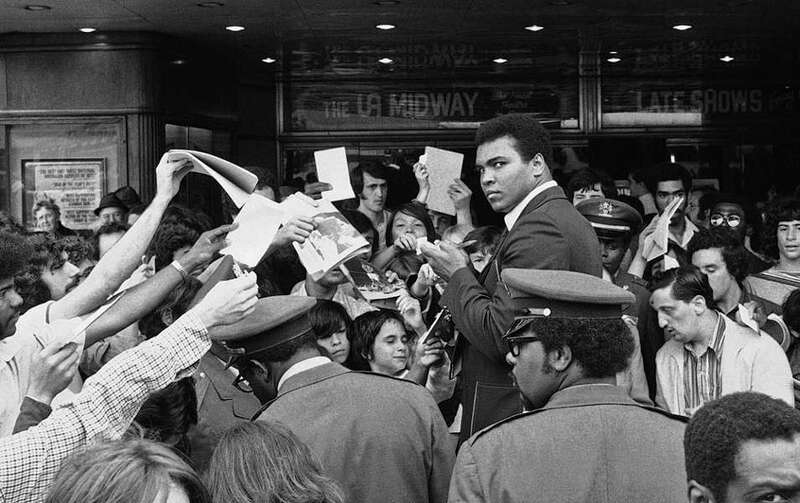 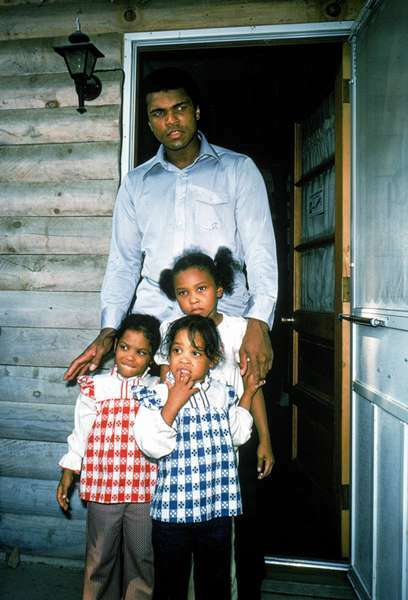 Muhammad Ali signs autographs for a swarm of fans in Queens, New York, prior to his rematch with Ken Norton. 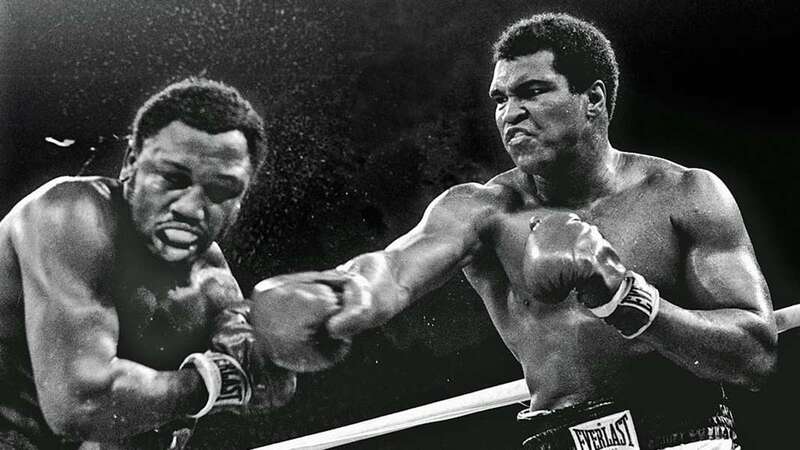 Muhammad Ali sends world champion George Foreman down to the canvas in the eighth round of their WBA/WBC championship match in Zaire. 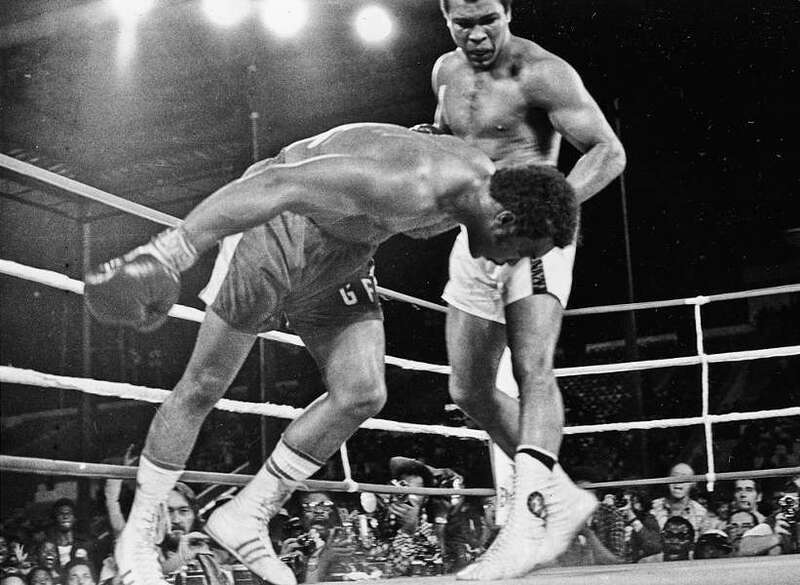 Ali regained his heavyweight title on Oct. 30, 1974, in the "Rumble in the Jungle" after using a strategy coined the "rope-a-dope." 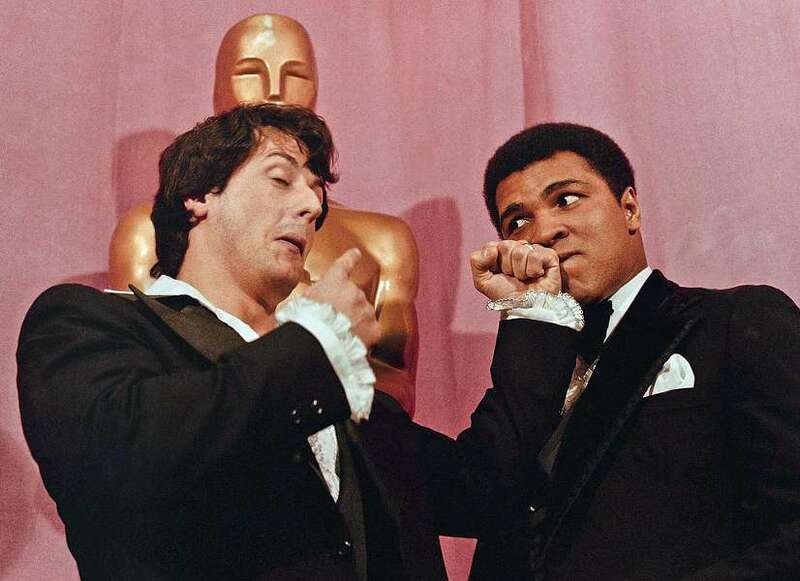 Actor Sylvester Stallone, star of "Rocky" and heavyweight champion Muhammad Ali clown around back stage after the Academy Awards show in 1977. 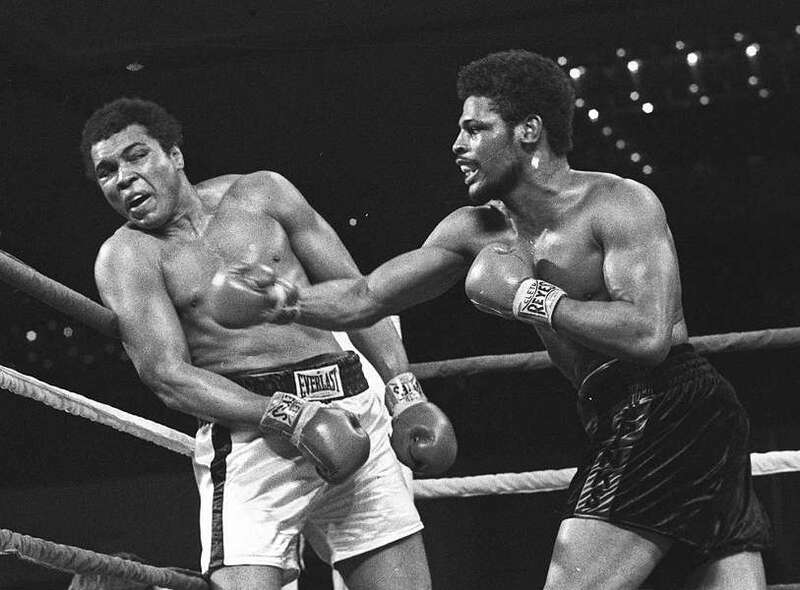 A younger, more attack-oriented Leon Spinks stunned Muhammad Ali in 1978 by defeating him in 15 rounds for the heavyweight championship. 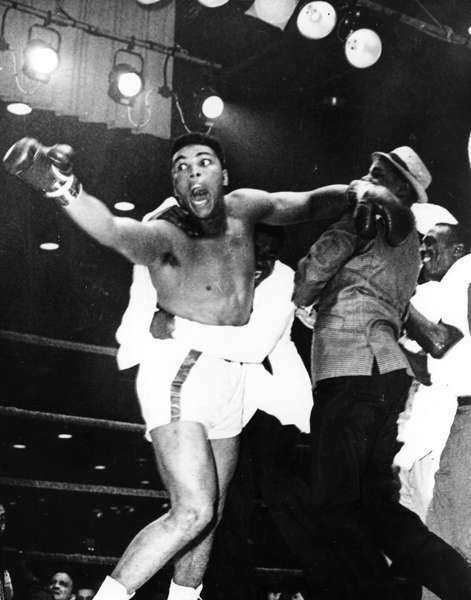 It was just the eighth career fight for the 24-year-old Spinks.